Volunteer: How was the day? Volunteer: How did you feel on the stage while performing? Kid: “Dance karne ko bohot acha laga. thoda daara mai pehle. Par badme sab ke samne nachne me maja aya” (Dancing in front of everyone in the auditorium was a scary but awesome experience for me). Volunteer: Did you like the food? What was your favorite item? Volunteer: Tell me your favorite performance of the day. Kid: “Mera dance. Aur fir jo mere friend ne face painting kiya tha who. Aur jo ‘Chitiyan Kalayaan’ pe dance kiya tha who mujhe bohot acha laga” (I loved my own dance. And next best was the face painting that my friend had done. I thought the dance performance on the song ‘Chitiyaan kalayaan’ was the best). 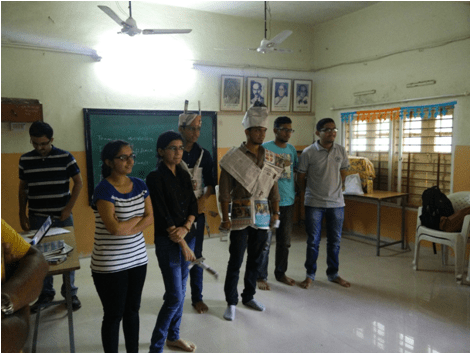 Volunteer: Will you participate in the next Nakshatra? What will you do? And then the interview was forgotten in the midst of the enthusiastic acting by the kid. But all in all, everyone is waiting and gearing up for the next showdown. Hope to see these kids soon. 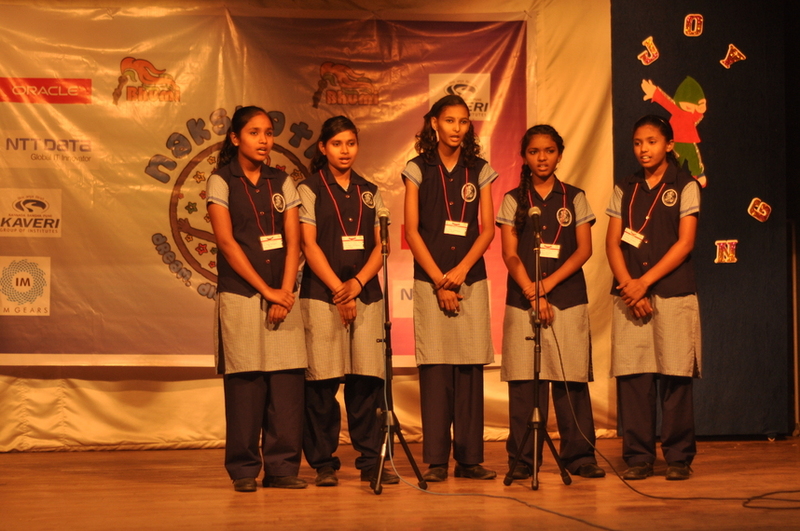 Nakshatra, Bhumi’s annual inter-orphanage art, literary, cultural, science and sports talent fest for children was held in Pune for the first time on August 2nd 2015. It all started on a Saturday night among “high” talks between Suren, Srinivas and Sai. A big ‘Thank you’ to these guys, we owe you a lot. You showed us the dream and all of us were more than happy to make it happen. With help from the Chennai team and a lot of enthusiasm and will, the preparations began. Meetings were held every now and then. Discussions about anything and everything. People taking out time from their busy routines, dividing themselves into different teams and putting in their best ideas. Giving their very best to make everything happen, failing at times, but still undeterred. Facing all the hurdles and challenges, come what may, together. Many sleepless nights and days of hard work later, the much awaited Day of Judgment arrived. The morning air was heavy with excitement, enthusiasm, anxiety, tensions, confusion and fear. All had only one prayer in mind – “Let everything go smooth”. And it did. 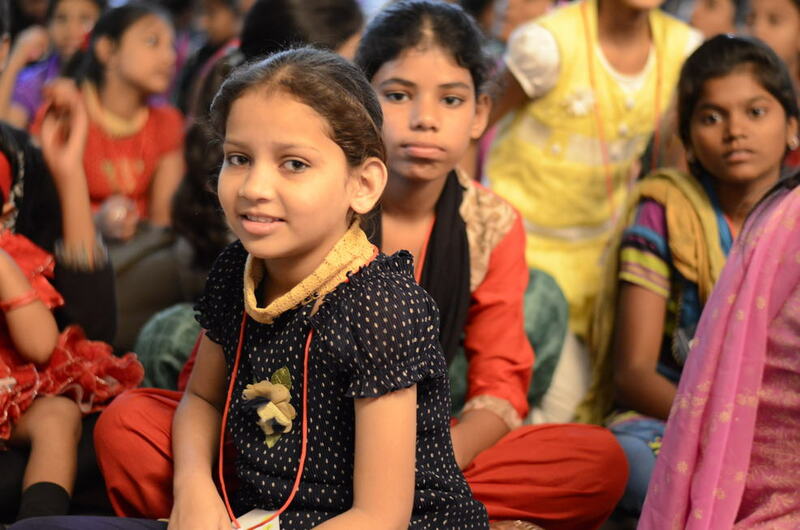 The kids arrived in time, smiling and dressed in glitters, boosting the volunteer moral even more. 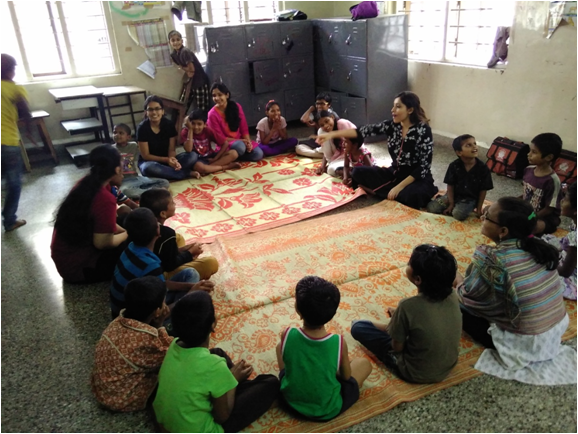 With beautiful and energetic performances of the kids, and the coordination and hard work of the volunteers, “Nakshatra” finally became a dream come true! 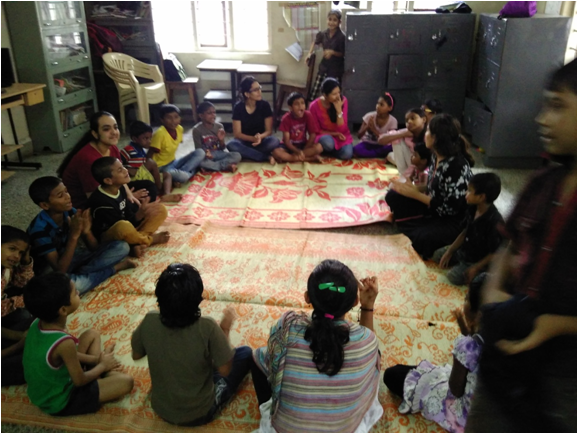 So this edition of our Nakshatra newsletter takes you through the journey of the kids, their awesome performances and their beautiful creativity. We hope you enjoy it as much as we did. Relead is a 3 day Non-residential learning program that will help youth to answer the most important question there ever is: What should I do with my life? Relead is an engaging learning experience designed to answer the four questions mentioned in the graphic above. It is for anyone looking to build clarity on their life choices and direction. Relead will be anchored by Abhishek Thakore, the Founder of The Blue Ribbon Movement. Abhishek has facilitated programs around the world for over 15 years now including Bhumi’s Leadership Development programme Lead Bhumi. But what makes him unique is his own journey as a leader. There will be guest speakers joining into the program, bringing their own unique flavors and perspectives. For more details on Relead visit the website. Academic support and extra-curricular activities for children between ages 5 and 12. This includes education modules for reading, writing, and arithmetic, as well as art and sports modules. Activities that engage community teenagers and Pudiyador alumni in meaningful, useful, and enjoyable activities. Some of these activities could potentially provide young adults with real means of employment. Home visits, activities, and community events aimed at minimizing abuse and maximizing safety and well-being of children, their parents, and the entire community overall. We consistently monitor and evaluate all our programs to ensure that they are effective in and appropriate for each center. Pudiyador currently operates in two communities in Ramapuram, two in Besant Nagar, and one in Saligramam. Degree in engineering or experience in working in a multi-national company is a plus. A degree in education/sociology/psychology and/or experience working with children and or a non-profit is also a bonus. The following application documents must be submitted as attachments via email to jobs@pudiyador.org . We require all 4 sets of documents to be able to process your application. Recommendation letters must be sent directly by the recommenders from their email address. If that is not possible, printed or hand-written letters can be sent to: Pudiyador, 14, Giri Nagar, Ramapuram, Chennai 600089. Pudiyador is looking to fill the following positions beginning August 2015. Interested applicants are asked to contact the Program Director, Chiai Uraguchi (99626-01712) and send their resumes to chiai@pudiyador.org . A phone call meeting will be set up to discuss the applicant’s capabilities and experiences, the requirements of the job, and the pay scale. * Bachelor’s or Master’s degree (preferably in Social Work) with a minimum of 1 year experience in the development sector, preferably community work. 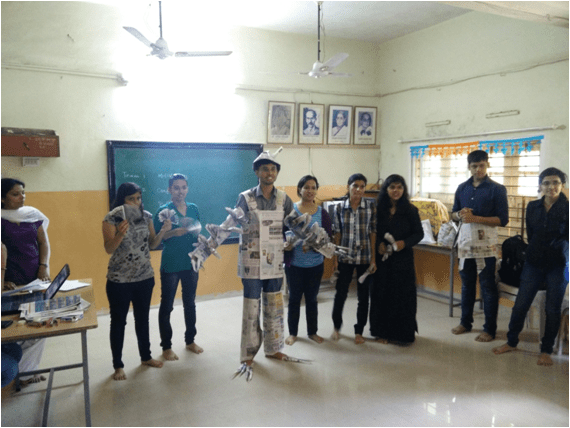 to make it a lively and engaging session. Chandrakant Mahajan, Volunteer Speak Out. Meghna Raveendra- Regional Manager, Bhumi,Pune. to the family whole heartedly. 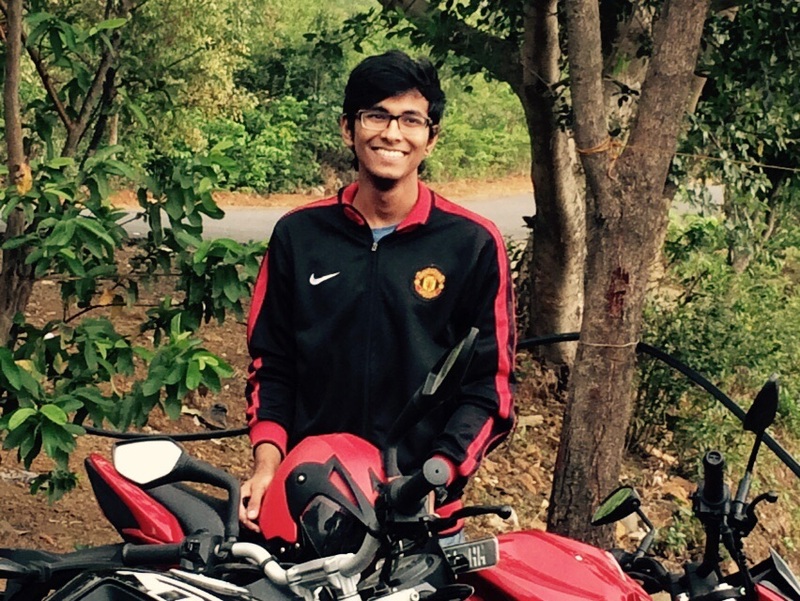 “When I joined Bhumi in June I was told by the central team about the energy and passion that our Pune team had. people who volunteer with so much dedication and love for the cause! Wish you the best of things”! out for the next round, which was Who Am I? Each team was given a small chit with clues in English. no prizes were there to be given away, the volunteers had gained much more, not just the kids. session with a prayer. 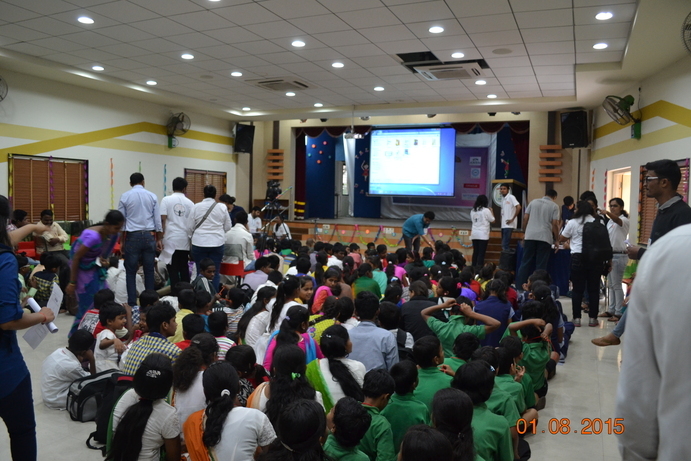 The video shows the enthusiasm of the kids during this activity. engaging piece. Hope it touches you as it did us. for in our country, why not be a part of it? volunteers who seek happiness by helping others. dreams of helping someone are fulfilled. Yes or no. In or out. Live or die. Hero or coward. Fight or give in. Human race is made up of choices. Make sure you choose and choose for a better tomorrow.